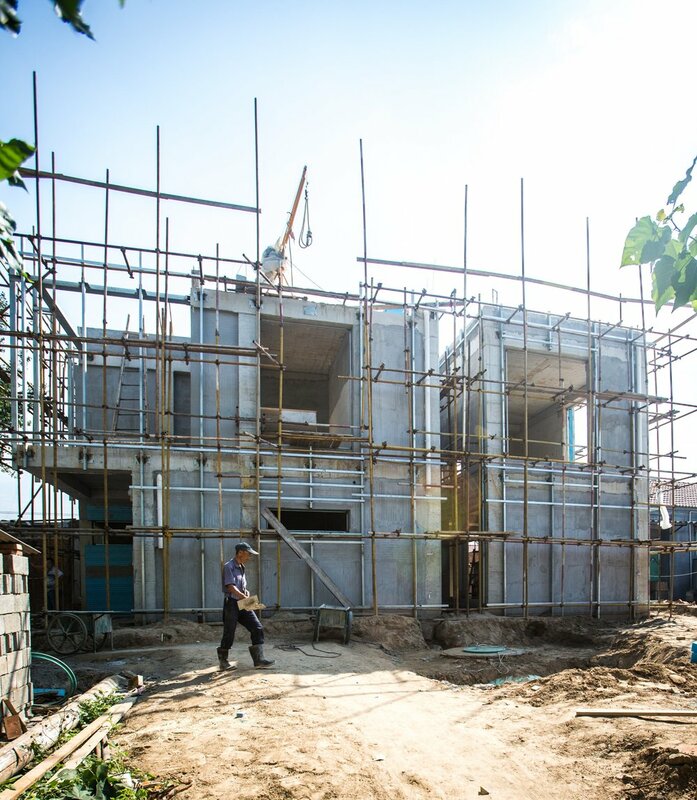 Construction continues on the North Elevation of the Daxing Villa, where the crew is infilling block masonry into a structural frame of reinforced concrete. The villa was conceived as a collection of stacked stone volumes that pinwheel around a central courtyard, where a light-filled garden gives light and focus to the inward living spaces. To the top left, an exterior terrace will lead to a roof garden; top right, a child's bedroom; bottom right, a kitchen and pantry are separated from service quarters and a service entry (bottom left) by a vertical slot that will function as a garden and light well. A low-carbon city project we worked on with MIT and Tsinghua University in Jinan was recently published in the book "Planning Practice: Studios + Workshops 2005-2015" from SA+P Press. The project dealt with Transit Oriented Development (TOD) and urban agriculture, and sought to suggest new building typologies that integrated the vibrancy, flexibility, and community-focused aspects of traditional "villages" into high density, modern developments. Metaamo has received five commissions to design new municipal buildings among the dynamic topographic landscapes of terraced rice fields, just outside the city of Kunming, China. We were in Yunnan Province this week visiting these incredible and diverse sites (one shown below) and are greatly looking forward to collaborating with these communities.